Interested in skydiving near Milwaukee? Wisconsin Skydiving Center has been skydiving Milwaukee for nearly 20 years! Our family owned and operated skydiving center is located just one hour west of Milwaukee and hosts hundreds of guests from the Brew City every year. Our close proximity to the city combined with our dedication to providing first-class service have made us the dropzone of choice for students and experienced skydivers in the Milwaukee area. 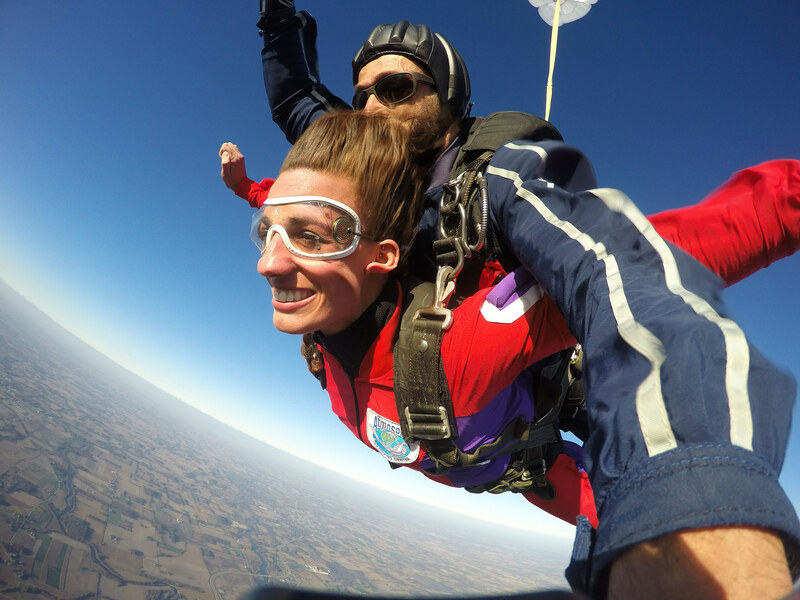 Whether your looking to make your first skydive, become a licensed skydiver, or join an incredible community of experienced jumpers, Wisconsin Skydiving Center is the dropzone you want to visit! We are passionate about the sport of skydiving and are committed to providing each of our guests with a truly unforgettable, 5 star experience. Check out the video below to get a sense of who we are and what you can expect when you skydive with us. Click the button below to book your skydive online now or give us a call at (920) 568-1700. We’d be happy to answer any of your questions.